Norman ("Norm") Rosen, consulting geologist, has had a long and active career in exploration and production activities worldwide, with emphasis on the Gulf Coast basin. During this time, he has provided help to the GCSSEPM Section and Foundation on numerous occasions, most recently as Executive Director of the GCSSEPM Foundation. Norm was born in Cleveland, Ohio, in 1941, the third son of a pharmacist father and a bright, self-taught linguist mother. He grew up and stayed in Cleveland until he went to Ohio State University. While in high school, he already had started helping groups as track manager and as a stagehand in the drama club. He was popular with other members, as he was the only one who publicly admitted that he could not act; as he is today, what you see is what you get. He was also active in Boy Scouts. While a scout, he attended a career conference about geology at what is now Case Western University; the professor made geology sound so bad as a profession that it made Norm curious as to what he was hiding; besides, he always liked the outdoors. After suffering headaches in chemistry labs, he decided that geology was what he wanted to pursue. Norm received his B.Sc. in 1963 and his M.Sc. in 1964 from Ohio State University. It was while at Ohio State that he met and married Rashel in 1964. As he put it, he felt morally obligated to go for the Ph.D. as both of his brothers had done so. He received his PhD from the Louisiana State University in 1968. Upon graduation, he accepted a position as a geologist and editor at the Geological Survey of Iran, a United Nation mission. Thus from the beginning, he started editing geological papers and has not stopped since. In 1969, he joined Texaco in New Orleans as an exploration geologist and set up a petrographic laboratory. During the next five years, he examined cuttings and cores from Miocene to Paleozoic, sat wells from the Louisiana swamps to the Florida panhandle, taught a carbonate course, led a delta field trip, and worked on prospects (first two wells came in) and regional studies. In 1974, he joined Deminex-Iran Oil Company as chief geologist and spent the next four years prospecting in Iran. He was part of a team that brought in a 4 billion barrel oil field; what he remembers most is being out at the well site when a 6000 BOPD well was tested. In 1978, he returned to the United States and joined Tenneco's Frontier Project. During this time, he worked the east coast from Georges Bank to the Bahamas, the Appalachians, and the Michigan basin. In 1981, he joined Robertson Research (U.S.) as vice president and in 1983, Sohio (now BP Exploration). At Sohio/BP, he worked eastern Gulf lease sales, served as Division Geologist, and was leader of more regional studies than he can remember. A consultant since 1992, he has done regional studies in Colombia, Poland, South Louisiana, South Texas, and the offshore Gulf of Mexico. 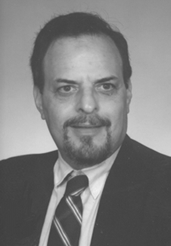 Norm first helped the GCSSEPM Section as an assistant editor to the Transactions in 1982. He also served as editor for the 1991 and 1993 Transactions; in the 1991 Transactions, he wrote the first set of guidelines for Transaction articles. In 1991, he also served as Poster Chairman for the GCSSEPM Research Foundation Symposium on Coastal Processes. In 1992, he was a co-program chairman on Gulf of Mexico plate tectonics at the GCSSEPM Foundation Symposium on Gulf/Caribbean tectonics. In 1998, he served as co-chairman of GCSSEPM Session "Gulf of Mexico Basin: Sequences and Hydrocarbons." In 1995, Norm designed and set up the Section/Foundation Web site and served as Web master until 2000. In 1998, he was elected treasurer of the Section and served in that position until early 1999. In April 1999, we arrived back home from our daughter's wedding to discover a message from Mike Nault that Bob Perkins had died of a heart attack. At the request of the trustees, Norm resigned as treasurer and was asked to take the job as Executive Director of the Foundation. In the next six months, he reviewed all the records, set up the new registration programs for the conference, established the CD format with Gail Bergan, worked with the BEG to get the conference papers published, and printed out several hundred copies of our paleo manual. Since that time, he has overseen six conferences; put the Foundation on a firm, financial base; reestablished a fellowship program; worked with other groups to jointly sponsor a meeting; and has had a hand in editing every paper. While always willing to express an opinion, he has pushed back from the Section so that the officers are in fact in charge of the Section. It is a pleasure for me, his wife of forty-something years, to write this summary about him. Norm says that before he does anything he asks himself what Bob would do; he always has preferred to be in the background and not in the limelight. It is time, however, to share some of his contributions with our friends. In a recent note from Pat Perkins, she said, "I am certain that Bob would be pleased beyond measure were he able to know how beautifully you have carried on with enthusiasm the hard and often tedious work to make the GCSSEPM the success it obviously is."